Did you know that the average person spends about three years of their life sitting on a toilet? Maybe even more, if you have a good smartphone. All things considered, it’s understandable why you’d want them to be the best toilets since you’ll be spending your most vulnerable moments on them. There’s a big difference between having a good toilet in your home and having the best toilet. A good toilet may leave waste after a flush, may use too much water, or may leave sticky things on the inside of the toilet bowl. Still, the best toilet will be comparable to a luxury-level toilet – while still being affordable for those on a regular budget. So, what features should you look for when looking for the best option? Our toilet reviews and buying guide will hopefully help you make a perfect choice. We’ll be starting the game of thrones so that you can sit like a real king in your bathroom. 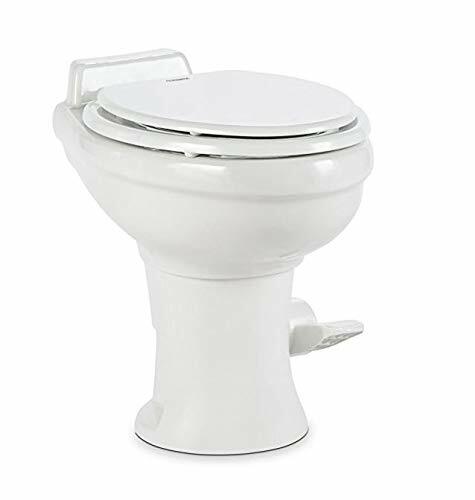 Dimensions : 28.8 x 16.5 x 29.4"
Dimensions : 35 x 33 x 23"
Dimensions : 29.8 x 17.8 x 29.5"
Dimensions : 15 x 29.5 x 31"
This sleek 12-inch rough-in toilet is perfect for those that have an average-sized bathroom and want comfort over everything else. Featuring a dual flush technology, this is the kind of toilet that will help you save on the water bill, but will also help the environment while you’re at it. Furthermore, featuring a double cyclone technology, this gravity-tech toilet will flush all the hard waste down – regardless of how stubborn it is. Add the SanaGloss technology in the mix, and you have an easily maintained toilet. It only requires a few wipes with a toilet brush every now and again. While it may have a strong flush, this toilet is also fairly quiet. Granted, you’ll still hear it going if you’re close to the bathroom, but it’s still quieter than most. Plus, since it only uses 1.28 gallons per full flush, it also features the Water-Sense Certification. Those looking for a water-efficient toilet will once more appreciate this one-piece toilet. 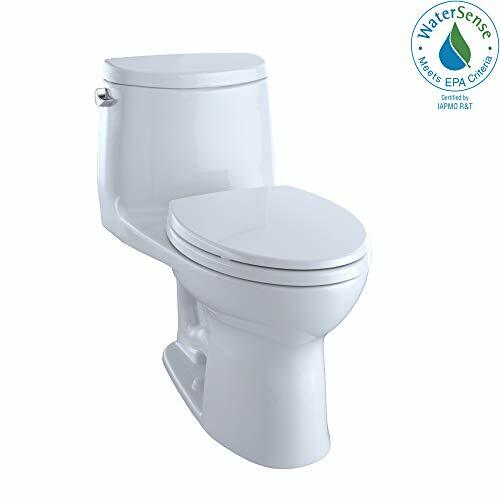 Featuring a WaterSense certificate, this toilet uses 1.28 gallons of water per flush, all of which is delivered using double water cyclone technology. This toilet is very easy to maintain, thanks to its SanaGloss coating that will clean the toilet with every flush. Plus, this coating gives the toilet a super-sleek look, making every bathroom look bright and classy. This toilet comes with its own toilet seat – one that features a SoftClose technology. This ensures that even if you somehow “drop” the seat, it won’t slam with a noise. You’ll be in and out of the bathroom without anyone knowing that business actually went down. Those looking for toilets on a budget will definitely appreciate this mode. Featuring a one-piece design, this toilet was made to occupy a minimum amount of space so that even those with a small bathroom can install it. The EverClean coating has the purpose of keeping the toilet bowl clean. Inhibiting stain growth and odor-causing bacteria, this toilet will clean itself with every flush, only requiring you to scrub it with a toilet brush every now and again. Made from vitreous china, this toilet is very durable – and will definitely last you a few years. It may not include a toilet seat in the price, but this will only allow you the get one of your choosing. 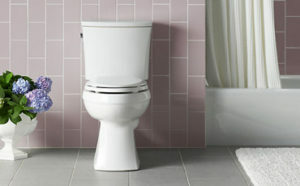 This one-piece toilet from Kohler is another great model that you may add in a small bathroom. 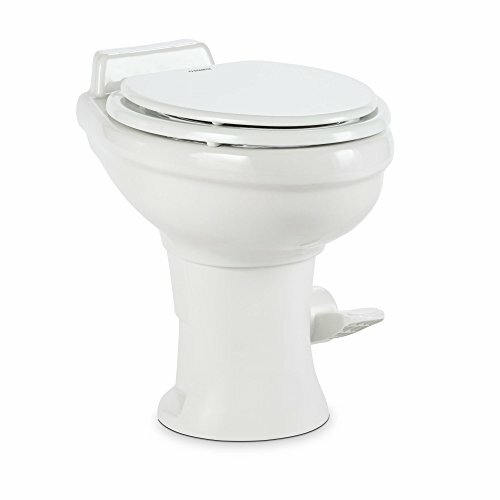 Featuring a comfortable elongated bowl, this one does not occupy more than a classic round toilet – mainly because of its integrated water tank. This toilet also features a comfortable height, meaning that it can be used by average to tall people, as well as those with disabilities. Plus, since it only uses 1.28 gallons of water per flush, this one certifies as a WaterSense toilet that will save on your water bill. If you are looking for a classic two-piece toilet, then this American Standard model might be exactly what you are looking for. Having a fairly compact design, this should easily fit in small-to-medium bathrooms – but you may also want to measure your space before ordering. This toilet features a dual flush, meaning that you won’t have to go for the full flush each time you leave liquid waste in the toilet. Plus, since this is WaterSense certified, it uses a smaller amount of water per flush – a total of 1.28 gallons. Featuring PowerWash rim and a Jet-Powered siphon, the waste will not only be sucked easily through the trap, but it will also ensure that the bowl is cleaned properly. Together with the EverClean surface, these features make the toilet fairly low maintenance. The seat is not included, but you may purchase a good option for this model separately from American Standard. Dimensions : 28.5 x 16.5 x 30"
Dimensions : 28.9 x 18.8 x 31"
Dimensions : 22 x 14.8 x 19.8"
Dimensions : 28.5 x 14.5 x 27"
The name “Vespin” has a strong sound to it – and this is clear from the way this toilet flushes. Featuring a double-cyclone technology, this toilet will flush away every trace of waste from the bowl. Plus, since it features Toto’s SanaGloss coating, it will prevent mold and solid waste from sticking to the surface. 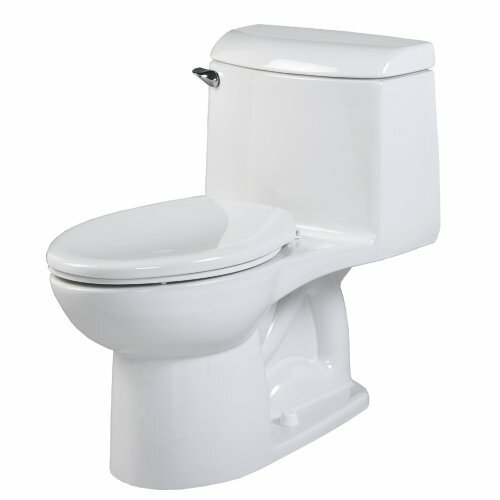 According to Toto toilet reviews, this toilet is water efficient, consuming only 1.28 gallons per full flush. Plus, considering its ceramic design and Chrome trip lever, this will also make any bathroom look modern. It does not come with its own toilet seat, but it is perfectly complimented by Toto’s SoftClose toilet seats. This toilet takes water conservation to another level, as it uses only 0.8 gallons of water per flush. And while you may assume that this might impair its functionality, this is not the case. 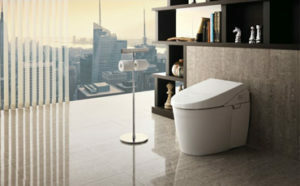 As a result, it is classified as an ultra-high efficiency toilet – U-HET. In truth, at the moment, this toilet has the lowest water consumption. Still, due to the addition of the air channel between the cistern and waste pipe, it is just as efficient as any other unit. Moving on, the elongated design plays an important role for your comfort, as well as the unit’s height. However, a potential inconvenience worth mentioning is that the toilet doesn’t come with the bolts needed for attaching it to the floor. This comfort height toilet is a good option if every toilet you tested until this point seems too low for you. The Cimarron may be a two-piece toilet, but it features a fairly compact design that will fit every average-sized bathroom – or even a small one if you add the right accessories. 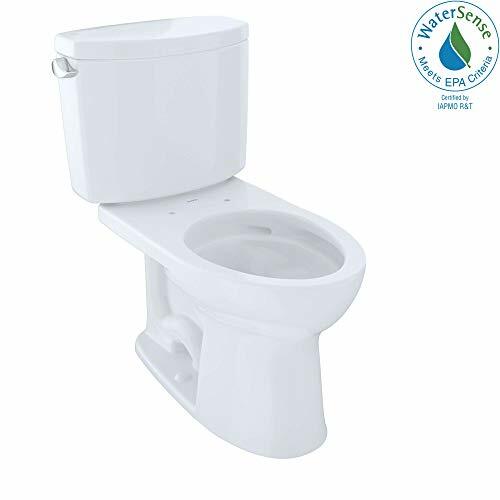 Using 1.28 gallons of water per flush, this toilet is environmentally-friendly and will also save you on the water bill. Plus, according to previous customers, the toilet also has a strong flush. Regardless of the waste, you will likely not be required to flush twice. If you are looking for something with a slightly more special design, then you might want to give this Domestic model a try. Made from vitreous ceramic, this seat was meant to last through the years – passing the first ten with flying colors. This toilet uses only one pint of water per flush, making it highly water efficient. At the same time, it has a very powerful flush that will not let waste floating around. You can choose between low-profile and comfort height models, but you can also go for a standard height one. Similarly, you can choose whether you want a hand spray attached to the toilet or not. This toilet is perfect for a modern bathroom, mostly due to its unique one-piece design. 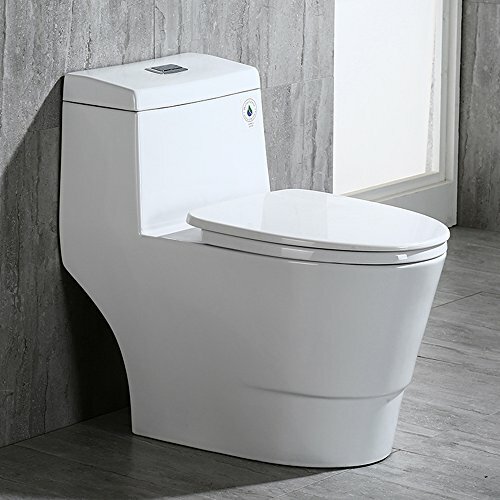 Featuring an elongated bowl, this toilet is very comfortable to sit on – yet, it will easily fit in a small to a medium-sized bathroom. 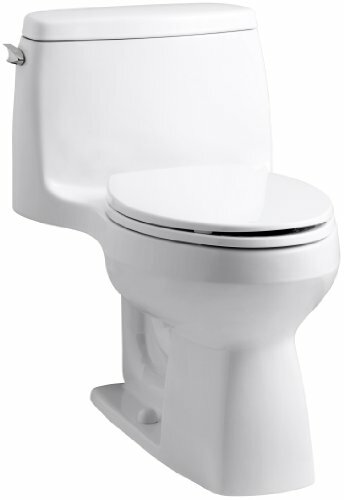 This model features its own toilet seat – one that has a SoftClose action. This means that the toilet won’t make a slamming noise each time you put the seat down – saving you the embarrassment of anyone hearing you. Its flush is also powerful and quiet. This means that not only will you not have to go for that second flush, but you also won’t be announcing to the whole neighborhood that you just went to the loo. While there are several toilet manufacturers in the US, only a few of them have made it worldwide. Among them, here are the top three that dominate the United States. Toto: Some consider Toto to be the best manufacturer – mainly because the materials used are considered to be of the highest quality. 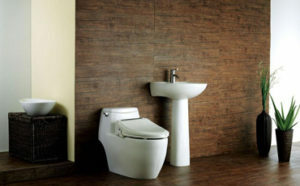 Toto toilets are known to be luxury oriented, which is why they are slightly more expensive than the average toilet. Kohler: Kohler also offers very good products – but their focus is on those that are also affordable. While it may not use the same luxury materials as Toto, it is still an option that will last for years. American Standard: Like Kohler, American Standard is also a budget-friendly option preferred by those who are shopping on a low As its brand name suggests, it was created to fit in practically every bathroom, without requiring further renovation. Plus, the quality of these toilets is fairly high, so it’s definitely a worthy competitor for Kohler. While the brand in itself is not that crucial, you need to ensure that the chosen toilet fits your particular preferences. It may be a high-end toilet, but if it doesn’t do what you need it to do, then the price might not exactly be worth it. No matter how you call it (toilet, throne, dumping grounds, etc. 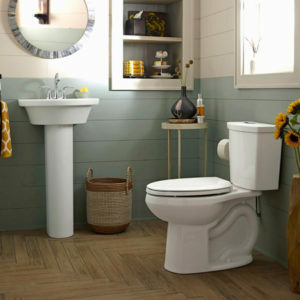 ), the toilet is the most important part of your home. It’s the place where you spend your most vulnerable moments – so you always need to ensure that you pick the perfect model. Even the best toilets from ancient times only had a hole for you to do your business in. Still, after some time, they realized that they had to move into the future and flush away that waste. Low-flow toilets have been a thing ever since the 90s when people decided that the less water they use, the better it will be for the environment. For that reason, the average water use per flush dropped at 1.6 gallons or even less. Nowadays, the toilets are more powerful. Manufacturers worked to improve the design with larger trapways and flush valves that will send the water flowing at a more powerful force. Therefore, they can flush away all the nasties in one go. For this reason, you might want to go for toilets that appeared after 2010. When you are looking for a good toilet, the last thing you want is to start pinching the penny so that you can gain some extra cash. For example, if the toilet is less than $100, it’s definitely going to be very low-quality – ergo, the money will be completely wasted. Since you’re likely going to use this toilet for several years, probably every day, you might as well get a good one. You may have to spend $100-$500 for a gravity toilet, depending on your budget – but if you want a pressure-assist toilet, be prepared to pay $225-$600. This sort of comfort is not cheap, and you need to be able to pay up a decent price. Sure, these unique toilet features are a great addition that might help with the efficiency of the toilet – and obviously, this will make the toilet be more expensive than your standard model. However, aside from the buying costs, this may also cost you in the long run in the event that those parts need to be replaced. For example, if you go for a fancy custom seat, it may take around $100 to replace it – that is if you still manage to find one in the years to follow. If you can handle the costs, by all means, go for it; but if you don’t want to deal with extra costs, time wasted, and frustration, then you might want to go for a simpler model. Depending on the toilet, it may or may not come with its own toilet seat. For example, according to most customer reviews, a cushioned toilet seat may not last all that well throughout time – at least when you compare it with plastic seats. If you don’t want any humorous sounds or cracked seats in the next few years, then you might want to invest in a hard seat. This goes double if you don’t have the budget to continuously replace your toilet seats. 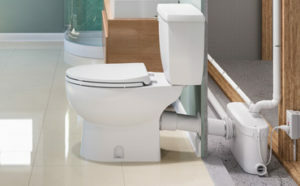 The gravity-assisted toilet is the most common type of toilet available since it uses the height and weight of the water in the tank to create the flush. As long as you have a well-functioning trapway and flush valve, then this toilet should successfully get rid of all the waste left in the toilet. Since there is no extra fancy mechanism activating the flush, this toilet is fairly quiet – or at least, as quiet as it can be. It’s a good option if you live in a house with many people and you don’t want the flush to be way too noisy. On the other hand, pressure-assisted toilets also have the extra “cleaning” factor at hand. With these toilets, the water is held under pressure within the tank and then it’s released with a stronger force. This will not only guarantee that the waste is all flushed down – but it will also do a better job at cleaning the insides of the toilet bowl. The disadvantage with these kinds of toilets is that, since they work with greater pressure, they are also relatively noisier. Furthermore, the pressure can put a strain on the pipes if they are old, making it a good option only for homes that have a new pipe system. 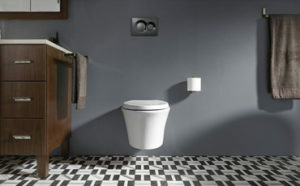 A toilet type is also determined by the features that accompany it. But strictly speaking, there are six types of toilets from which you can choose. Depending on the design you have in mind for your bathroom, here’s what you can choose from. 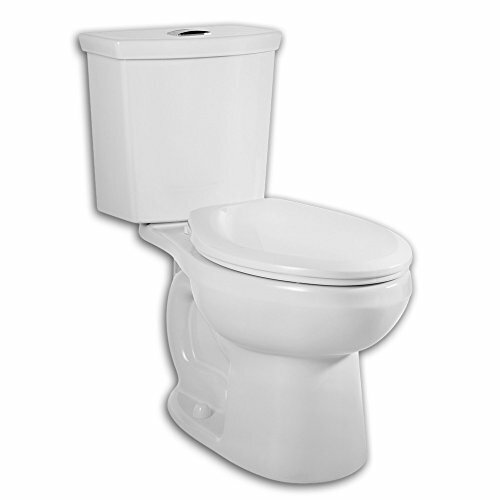 Two-piece toilets are generally the most common types of toilets that you can go for. These toilets feature separate toilet bowls and tanks that you can attach or detach at will during the installation process. Since the weight and size of the two put together can be rather great, these toilets have an advantage – because you can carry them separately. However, since a two-piece toilet has more nooks and crannies than a one-piece toilet, it is relatively more difficult to clean. It is also the least expensive of the batch, and the repairs are quite affordable. Since the parts come individually, it will be much easier for you to remove and replace them. You can rarely do that when it comes to a one-piece toilet. From the outside, one may not say that there’s a great difference between a one-piece toilet and a two-piece one. Both come with relatively the same shape and generally have the same flushing power. The only difference is that one-piece toilets don’t have separate toilet bowls and tanks. 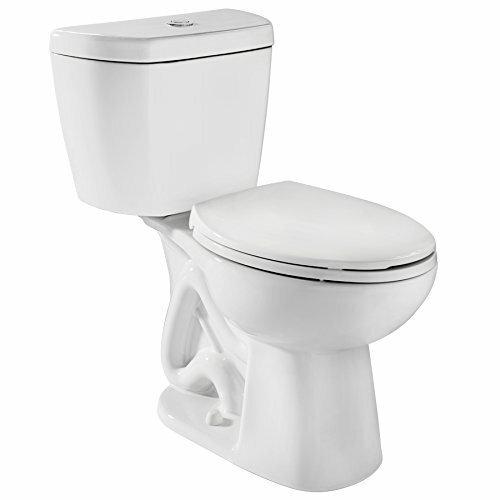 One-piece toilets are generally more expensive – but at the same time, they are also very durable. 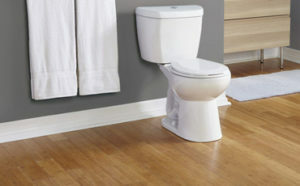 Plus, they are a great choice for small bathrooms, since they don’t take up as much space as a regular two-piece toilet. Moreover, keep in mind that a one-piece usually sits much closer to the ground. 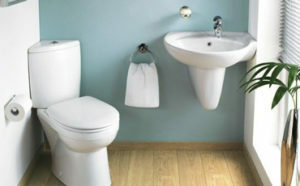 If you’re not that big on bathroom space, then wall hung toilets may represent a more suitable choice for you. Since these toilets are attached to the wall, you will gain more floor space – and your bathroom will also seem much bigger. Plus, since the tank is hidden within the wall, you’ll gain a few extra inches. As long as you have a water source nearby, these toilets may be installed pretty much anywhere. Plus, they feature a sleek design that you don’t usually find in regular toilets – making them a perfect choice for a modern bathroom. The drawback of these toilets is that, since they have the tank hidden inside the wall, you will have to make some modifications to your wall and pipe system. Still, if you are planning to go on a full renovation spree with your bathroom, then a wall-hung toilet is certainly a choice you won’t mind making – that is, as long as you can spare the extra dollars. These toilets are not only slightly more expensive, but you will also need to hire a plumber to install the toilet. These toilets are similar to a one-piece or two-piece toilets – the only difference being that the water tank features a triangular shape. This allows you to install the toilet in the corner of the bathroom, therefore saving more space. We live in an era where everything is smart. We have smartphones, smart TVs, smart vehicles – it’s obvious that someone would also come up with the idea of smart toilets. These are great options if you are looking for something comfortable, yet functional. Each smart toilet is different, so look for the intelligent upgrades that fit your comfort the most. Some toilets feature dual-flush systems, others have hands-free flushing. Similarly, some have heated seats while others have bidets and warm-air dryers. Because of this, these toilets are generally more expensive – but at the same time, they are price-efficient. If you don’t have the space to spare for a tank, but you also don’t want to hide the tank in the wall, then you might want to consider a tankless toilet. 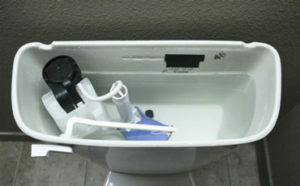 Rather than relying on a water tank to provide water for the flush, this type of toilet will connect directly to the supply line. The disadvantage of these toilets is that they depend mostly on the pressure from the power line. Therefore, if there is very low pressure in your pipes, then the flush power may not be as strong either. If you don’t have other option, then you might want to invest in pumps or other technologies to power up the flush. Each toilet is special in its own way. What’s most important is to look at the features that all of them provide – and make your choice based on how useful they will seem to you. You may go for plastic flush towers, which are a common occurrence these days – and they also last for a fairly long time. You can also go for rubber flush, but they are not so common anymore. Generally, most environmentally-friendly toilets use 1.6 gallons of water – but there are those with a WaterSense certification that only use 1.28 gallons. It might not seem like much at the moment, but in the long run, it will certainly save you a lot of money – and will obviously be good for the environment. 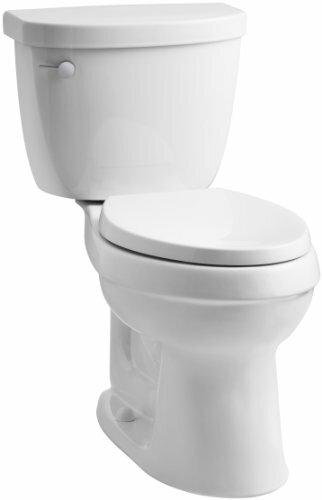 The typical toilet will only use one flush, regardless if it’s solid or liquid waste. 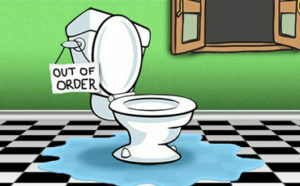 However, if all you leave in the toilet is a liquid waste, a full flush is usually not necessary. For this reason, you might want to look for toilets that have a dual flush – which generally has a 1.6-gallon flush and a 0.8-gallon one. 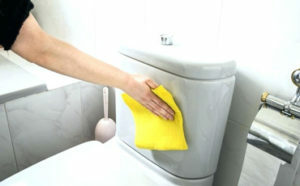 If you are particularly germophobic, you can also go for a touchless flushing system. These toilets have a sensor that will require you to wave your hand over it for the flush to kick in. You may find toilets that have this system built-in, but you can also buy it separately and install it on your current toilet. Depending on your preferences, you may go for a toilet with an elongated bowl, or you can pick something with a round bowl. Elongated bowl shapes are more comfortable since they offer more space for your thighs; however, round toilet bowls are more compact, making them a better choice for those who have a much smaller bathroom. To make sure the water flows with enough strength into the bowl, you will need a proper flush valve. If the valve is thick enough, then there will also be enough pressure to properly send the waste flying – or well, flushing. In this case, the thicker, the better. However, if the location lacks the necessary plumbing then an upflush toilet may be a good option. Do you want a two-piece toilet, or is a one-piece more up your alley? Two-piece units are easier to bring into the home since you can separate them and carry them one at a time. However, one-piece models are generally more compact and easier to clean – since they don’t have any meeting areas. 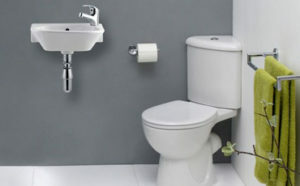 When it comes to design, you may also go for wall-hung toilets, corner toilets, or tankless toilets. There are several bathroom design tips that will help you save space – and these toilets represent a great option if you have a small bathroom. 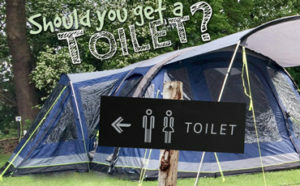 You may also be interested to check portable toilets for camping. If you have a particularly small bathroom, you might want to be particularly careful about the rough-in dimensions. This measures the distance between the wall and where the water line starts (around the middle of the toilet). 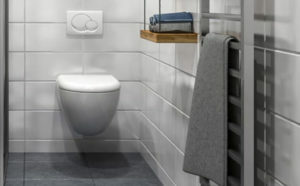 An average rough-in is 12 inches, which can fit every standard bathroom – but if your bathroom is smaller, then you may also opt for a 10-inch rough-in toilet. Say you live in a house with many people, with the bathroom located near the kitchen or the living room. It would be very embarrassing if a loud flush happens every time you have guests in your home. 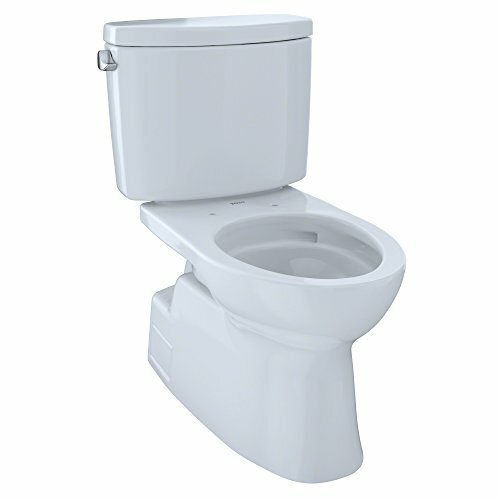 To minimize the noise caused by the toilet flush, you might want to go for a gravity feed toilet with a quieter action. Pressure-assisted toilets are good when it comes to cleaning the toilet with one flush – but the sound is generally very loud and can sometimes be a big embarrassment. It’s no secret that things can get rather smelly after a trip to the bathroom – which can be very embarrassing if you live with other people. However, some smart toilets come with a built-in deodorizer that will make the bathroom smell much better after a session. It won’t erase the smell 100%, but at least you won’t asphyxiate anyone walking into the bathroom two minutes after you used it. Almost every toilet will have a layer of coating meant to protect it to some degree. Still, there are some toilets out there that have an extra “cleanliness” factor. For example, Toto has the SanaGloss while American Standard has the EverClean surface. These antibacterial coatings will not only provide an extra shine to the toilet, but they will also prevent solid waste from sticking to the inner bowl. This will make the toilets much easier to clean, taking away the hassle of having to scrub it clean every few days. You may be interested to know more about how to properly clean your toilet and clean the toilet tank. Most toilets are found in the standard white color, but you can also go for other shades. The most common color tones are black and bone, but you can also find brands that have other colors – for example, blue or red. If you are a tall person, the last thing you want is to squat over your toilet each time business has to go down. Similarly, if you are not very tall, it might not be very comfortable to have your feet dangling over the floor. So, depending on your height, you can go for a low-profile toilet (14-15 inches) or a comfort height toilet (17-19 inches). The bends that you can see at the back of the toilet go under the name of trapways. A concealed trapway will be smooth, ergo very easy to clean. Those whose trapways you can see are called skirted, and while they are not that difficult to clean, they are still more prone to gather bacteria than a smooth one. 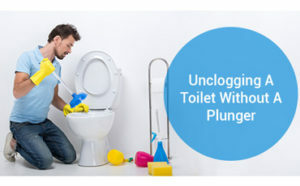 You may be interested to learn more about unclogging toilets and fixing leaking toilets. Looking for the best toilets is never easy. There are so many factors to consider: should you go for an elongated model, or is the round one more appropriate? Should you go for the classic two-piece, or is the one-piece style a better option for you? When choosing the perfect toilet, you need to have the actual design and size of the bathroom in mind. Is your bathroom small? Then you’ll need a more compact toilet. Do you have a particular “aquamarine” theme color? Then you might want to go for a toilet in a blue shade. Hopefully, our toilet reviews helped you find the perfect match for you. The game of thrones can be a very straightforward one – as long as you know exactly what you are looking for.